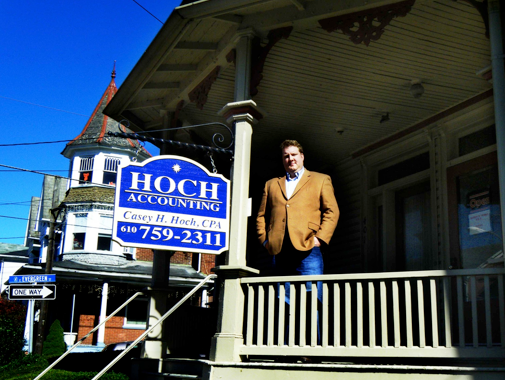 Casey H. Hoch, CPA is the president of Hoch Accounting PC, a full-service accounting firm located in Nazareth, PA.
Casey grew up in Pen Argyl, the heart of Pennsylvania’s Slate Belt, and continues a strong Hoch family tie to the town of Nazareth, dating back nine generations to the 17th century. He is a distinguished alumnus of Moravian Academy in Bethlehem, PA and Muhlenberg College in Allentown, PA, where he received his B.A. in Finance. 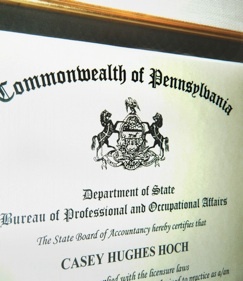 He also earned a Master’s degree in Accounting from the University of Virginia in Charlottesville, VA.
Casey is a member of the American Institute of Certified Public Accountants (AICPA) and Pennsylvania Institute of Certified Public Accountants (PICPA). 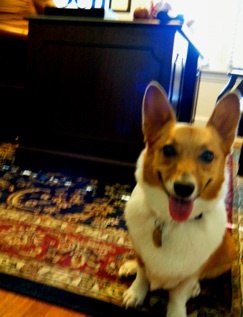 Casey currently lives in the Nazareth area with his wife, two children and pembroke welsh corgi. He is an avid baseball fan and a loyal supporter of the Philadelphia Phillies and the Lehigh Valley Iron Pigs.